Organizations and individuals entrenched in the Obama administration's pro-Iran echo chamber are engaging in a new plot to defame top White House national security officials, a campaign that mirrors a successful effort by these same groups to oust former Trump administration National Security Adviser Michael Flynn, according to sources familiar with the new effort. After targeting Flynn, Secretary of State Mike Pompeo, and former senior Trump adviser Sebastian Gorka, organizations closely tied to the Obama administration are setting their sites on National Security Adviser John Bolton and his newly formed team. 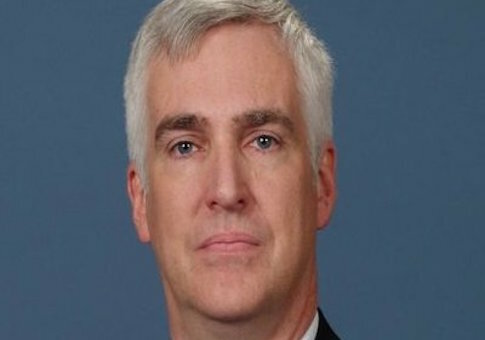 Recent attacks by groups such as the Council on American-Islamic Relations, or CAIR, and the Southern Poverty Law Center, or SPLC, have centered on Fred Fleitz, a former CIA analyst who was recently tapped by Bolton to serve as his chief of staff on the White House National Security Council. Activists from CAIR, the SPLC, and the Anti-Defamation League, or ADL—a civil rights organization currently helmed by a former Obama administration official—are engaged in a coordinated campaign to smear Fleitz and force his ouster from the NSC. The smears have been picked up by sympathetic media outlets who worked closely with these groups while the Obama administration's so-called "echo chamber" was running at full steam, sources said. Former senior Obama administration officials such as Ben Rhodes—architect of the pro-Iran echo-chamber that misled Congress and the American public about the nature of the landmark nuclear deal—have amplified these attacks on social media platforms such as Twitter. Senior Trump administration officials familiar with the situation called the attacks baseless and blamed organizations such as the SPLC for waging a smear campaign out of revenge for Fleitz's past criticisms of the group, which has been known to attack prominent conservative thought leaders and label them bigots. "Most of the attacks on Fleitz originated from the far left Southern Poverty Law Center, a group that over the last few years raised money by putting out press releases falsely lumping conservative Americans with neo-Nazis and white supremacists," said one senior administration official who spoke to the Washington Free Beacon on background about the attacks on Fleitz. "The media must call this attack on Fred Fleitz for what it is a—deliberate smear campaign from the left against the Trump administration," the official said, referencing a slew of recent media reports repeating accusations by the SPLC, ADL, CAIR, and other liberal activists groups. Media attacks on Fleitz sponsored by these organizations have focused on his past work with the Center for Security Policy, a conservative national security think-tank helmed by Frank Gaffney, a former Reagan administration official. CAIR, for instance, has been emailing reporters accusing Fleitz of being an "anti-Muslim hate group leader." The ADL charged in a recent press release that Fleitz should be fired from his new post in the NSC for his work with Gaffney's Center, which the ADL labeled "an Islamophobic, conspiracy-promoting organization." Multiple sources from across the political world, including within and outside the Trump administration, dismissed these claims against Fleitz as baseless and accused the organizations disseminating the attacks of continuing efforts by members of the Obama administration echo chamber to kneecap Trump's national security team. These sources said that Fleitz's fierce opposition to the nuclear agreement with Iran and efforts to counter it riled these activist leaders, many of whom vocally worked with the Obama administration to promote the deal. "All the people attacking Fred Fleitz's so vehemently are one of two groups: front organizations and sundry useful idiots that have a vested interest in supporting the murderous mullah of Iran," Sebastian Gorka, a former strategist and assistant to President Trump, told the Free Beacon. "The others are the architects of Obama's disastrous policy of ‘Leading from Behind' and the 44th president's American apology tour, which led to a more aggressive Iran, Russia, North Korea, and China," said Gorka, who was subjected to similar attacks by these organizations during his time in the White House. "In either instance, they prove by their actions just how superb a choice John Bolton made by bringing in a true patriot and national security professional like Fred Fleitz," Gorka said. Administration insiders and other sources intimately familiar with Fleitz's past work dismissed claims that he is Islamaphobic as ridiculous. Fleitz remains an ardent critic of radical Islam, but has gone to great lengths in the past to defend the religion's peaceful believers. Charges that Fleitz believes Muslims are trying to take over the U.S. government also are bunk, these sources said, referring to them as just another attempt by onetime Obama officials to derail Trump's national security agenda. "The smear campaign against Fred Fleitz is typical of the Obama White House echo chamber," said Christopher Hull, a former congressional chief of staff who now serves as the Center For Security Policy's executive vice president. "It includes ad hominem attacks, distortions, and guilt by association. " "Fleitz's critics' objective, of course, is to maintain Obama's treasonously weak policies toward America's enemies, foreign and domestic," Hull said. "It is no coincidence that among Fleitz's critics are those in the cross-hairs of any reasonably robust effort to keep America secure." The SPLC has taken the lead on these attacks, a point emphasized by administration officials and others who claim the group is seeking revenge for Fleitz's past criticisms of its efforts to smear conservatives. One former senior defense official who has worked with Fleitz told the Free Beacon that the series of attacks on the new NSC official are part and parcel of the SPLC's strategy to label conservative thinkers at hate mongers. "They throw these attacks out there without any evidence," said the official, who would only speak on background about the matter. "There's no evidence for what they're saying." "This is dog whistling to the haters on the left," the source said. A who's who of conservative thinkers and officials who have faced similar attacks by Obama loyalists have already rushed to defend Fleitz. Peter Hoekstra, former chair of the House Intelligence Committee and the Trump administration's current U.S. Ambassador to the Netherlands, told the Free Beacon that Fleitz is playing a key role in shaping the White House's national security agenda—which includes imposing maximum sanctions on Iran and shutting down European business deals with the Islamic Republic. "Fred has either worked for me or with me for the last 13 plus years," Hoekstra said. "His experience and in depth knowledge on a wide range of issues, including the threats from Iran and terrorism, will be a real asset to President Trump's national security team." Morton Klein, longtime president of the Zionist Organization of America, slammed the ADL for putting partisan politics over its decades-old agenda of defending the Jewish community against rising anti-Semitism. "Fleitz is a strong supporter of Israel, understands the reality and dangers of the Arab Islamic war against Israel, and the danger of the Islamic Republic of Iran's threats against Israel and the U.S.," Klein told the Free Beacon. "It is deeply disappointing to see ADL, whose mission is to help Israel, oppose the appointment of such a great friend of the Jewish State."